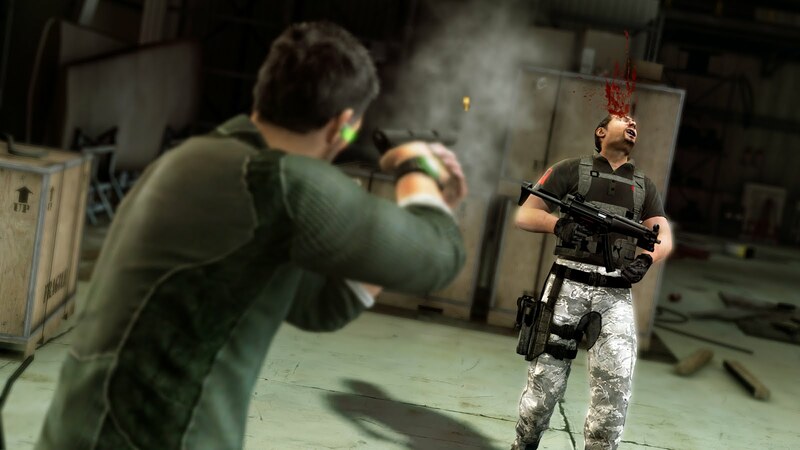 Ubisoft sent us their latest entry into the veritable Splinter Cell series; a fairly radical departure from previous versions in the franchise, one that's been met with some criticism, both positive and negative. 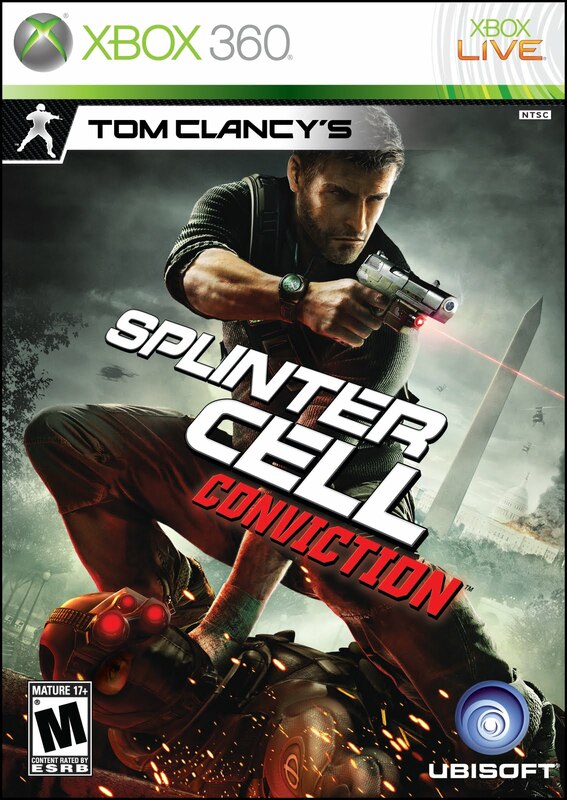 Sam Fisher, formerly of the NSA's Third Echelon, is now on a mission of the most personal of varieties. He's trying to uncover the trail on his daughter's killer, and in doing so will set off a sequence of events that will force him to work with (and trust) those from his past, some of which have already betrayed him. 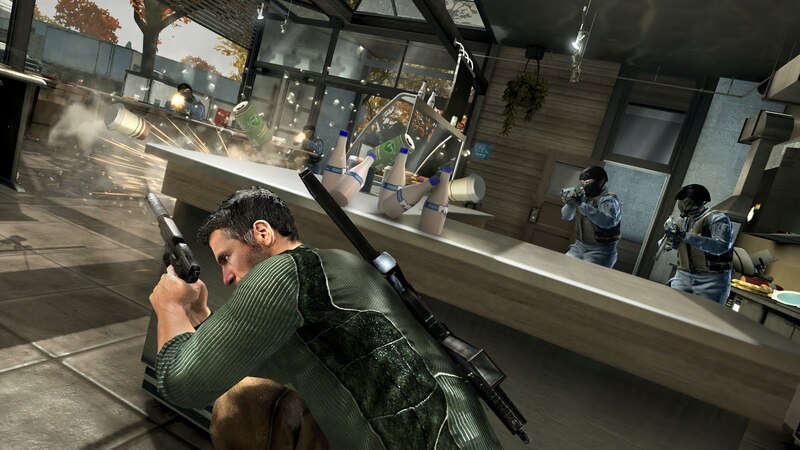 It's a full-blown spy extravaganza, with more double-crosses than a Jason Bourne film, and Ubisoft packages it all up in a beautifully detailed cinematic presentation. 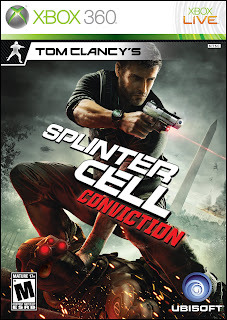 With no loading screens, or "mission brief's", you constantly in full-breach mode, utilizing your every weapon, gadget and new game-play mechanics to work towards your goal. The single-player campaign will be the first draw for most gamers. 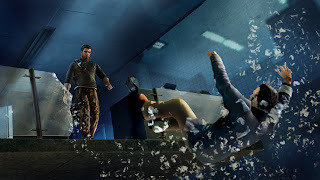 You begin in Malta, after receiving a call from Grim, your former liaison with Third Echelon, who helps navigate you through the "tutorial", that is the streets of Malta. Teaching you how to go into cover-mode, and move while within cover-mode. While you're in the shadows, your entire screen will go gray scale, easily confirming that you're safe from the eyes of the evil bad guys. You'll pick up your first gadget, learn about the "last known position" system, and then the most important new feature of all, the Mark and Execute feature. 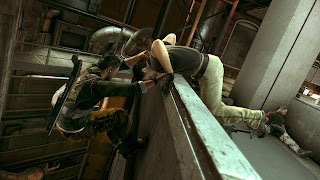 The Last Known Position system will activate when you're spotted by enemies, and have evaded their sight. A "ghost" of your body is left behind in this spot that the enemies will focus on. You can turn this to your advantage when evading. They'll shoot towards the area, attempt to flank your position, etc to verify if you there before they back off. Use this in conjunction with the Mark and Execute feature, and you'll be racking up kills right quick. First, however, you have to "earn" an execution by performing a hand-to-hand kill, melee attack, human shield or other various close-quarters move, then you can mark (initially up to 2 foes), and take them out before they even heard the bullet from the silenced muzzle whiz by. A very cool, if not automated, way of clearing a room. Nothing's cooler than marking enemies first, swooping in for a close-quarters face-off, and then immediately rolling into the execute, making light work of your opposition. Single-player game will take about 8-12 hours depending on your skill level and your play-style. You can be methodical, and go for the pure unseen approach, or attempt a more brazen approach. Take note of your surroundings, as the developers created the levels with the intention of there being much more than one way to take everyone down. 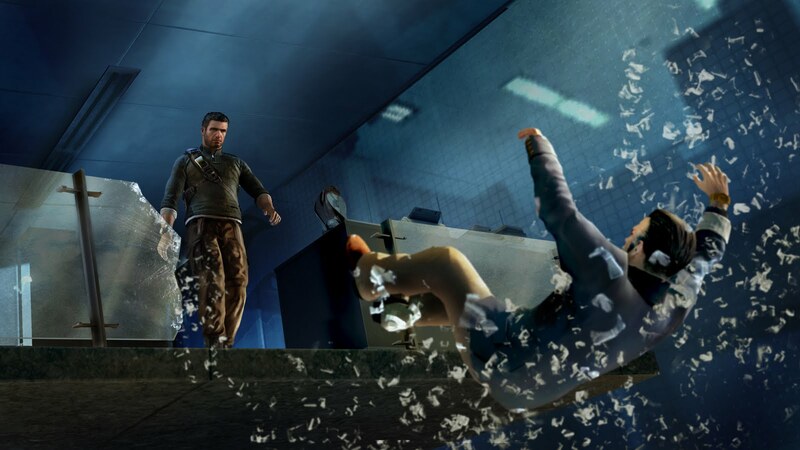 The second mode most will attempt, (or SHOULD), is the Co-Op modes included. 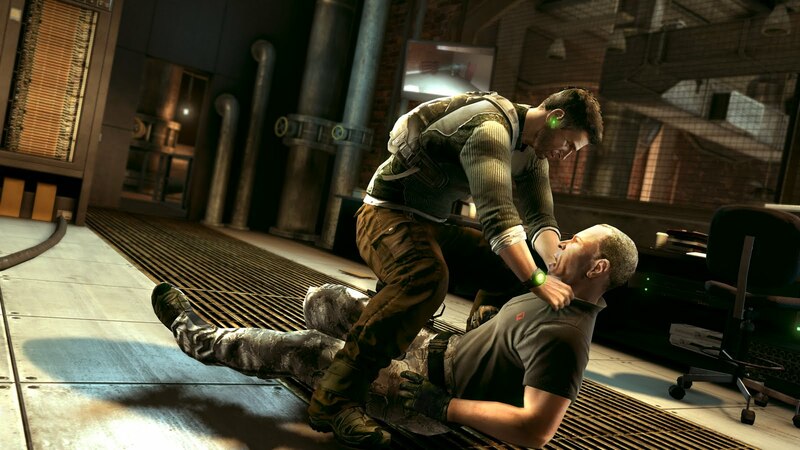 Included, is a special Co-Op mission that acts as a sort of prologue to the Sam Fisher story. You won't play as Sam though, but either Archer or Kestrel. Working for the Third Echelon directly, or their Russian counterpart Voron, respectively, you begin in Russia tasked with discovering how the EMP's from the single-player game initially fell into the wrong hands. Play on Xbox Live, or a split-screen, but play with a friend, as you'll want to use communication as a key strategy. You can't just let your partner down here, you have to protect each other. The Co-Op mode is expected to be about 6 hours alone (that's a full COD: MW title!). I can't 100% vouch, as I've had a harder time hooking up with the same friend to finish, but it's highly recommended. Lastly, is the multiplayer that most would be used to. Though the map selection is limited (4 maps from the co-op campaign and 2 specific to the multiplayer modes), there are a few "modes" of play. Hunter, Infiltration, Last Stand, and Face Off. They can be entertaining, if you're into the more full-fledge online multiplayer action, you'll find that elsewhere. The heart of this game is in the single-player and co-op campaigns.